Nashelle is passionate about creating beautiful jewelry for beautiful souls using recycled precious metals and natural gemstones. 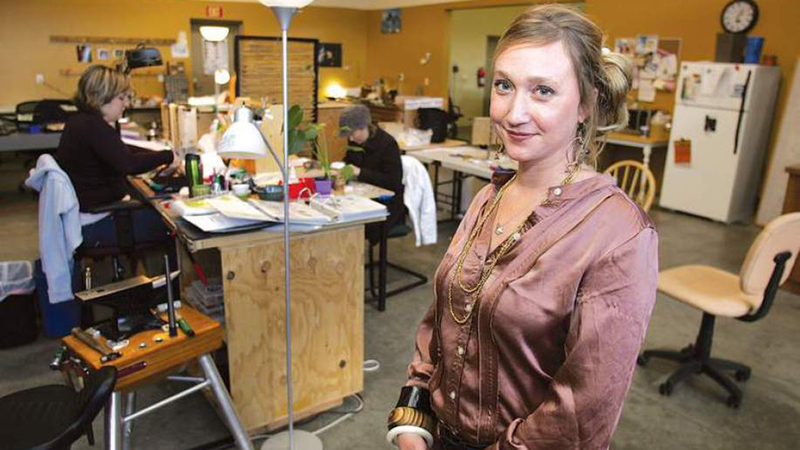 Yes, you can find designer Heather Nashelle Collard’s unique pieces at national retailers like Nordstrom, but Bend is proud to say she grew her company right here and still calls Bend home. Nashelle creates original ring, earring, necklace, cuff, and bracelet designs and all pieces are crafted in 14k gold fill, sterling silver, or brass. Designs include semi-precious stones, hydro quartz, diamonds, and glass beads, in innovative shapes, styles, and color combinations that are like no other. And, because each piece is handcrafted, no two are exactly alike. From her signature, hand stamped bar necklaces to stunning statement earrings, each Nashelle piece is wearable art that will elevate any style. Nashelle is also committed to supporting the community so when you purchase a piece of jewelry, they will donate a plate of food to local and national charities who feed the hungry. The Nashelle boutique is in the Old Mill District and is open Monday – Saturday from 10:00 a.m. – 8:00 p.m. and Sunday from 11:00 a.m. – 6:00 p.m. Visit on Fridays for 5 Plate Friday Flash Sale where a specific item is 40% off and five plates of food will be donated with each purchase. On the First Friday of every month, enjoy 20% off all day with refreshments from 5:00 p.m. until close, plus $45 and $30 sale racks.